Kriging surrogate model has been widely used in engineering design optimization problems to replace computational cost simulations. 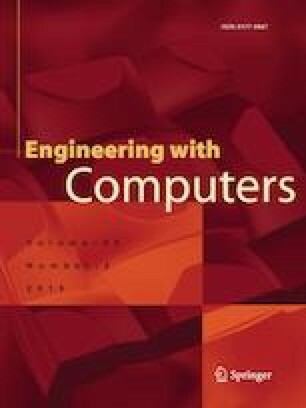 To facilitate the usage of the Kriging surrogate model-assisted engineering optimization design, there are still challenging issues on the updating of Kriging surrogate model for the constraints, since there exists prediction error between the Kriging surrogate model and the real constraints. Ignoring the interpolation uncertainties from the Kriging surrogate model of constraints may lead to infeasible optimal solutions. In this paper, general sequential constraints updating approach based on the confidence intervals from the Kriging surrogate model (SCU-CI) are proposed. In the proposed SCU-CI approach, an objective switching and sequential updating strategy is introduced based on whether the feasibility status of the design alternatives would be changed because of the interpolation uncertainty from the Kriging surrogate model or not. To demonstrate the effectiveness of the proposed SCU-CI approach, nine numerical examples and two practical engineering cases are used. The comparisons between the proposed approach and five existing approaches considering the quality of the obtained optimum and computational efficiency are made. Results illustrate that the proposed SCU-CI approach can generally ensure the feasibility of the optimal solution under a reasonable computational cost. This work has been supported by the National Natural Science Foundation of China (NSFC) under Grant Nos. 51805179, 51775203, and the Research Funds of the Maritime Defense Technologies Innovation, and the Research Funds of the defense technologies leadership.